In the end, it was the old-fashioned kind of social networking that found me someone who could teach me to braze. A fellow Xtracycle owner, who "knew" me from seeing me ride around town, happened to be working in Velocity Cycles the day I dropped in for a tweak on the Ruby. His name was Jake, and he remarked that he'd seen me on the Xtracycle, riding around, and didn't I also own a Salsa Casseroll? One bike led to another, and I mentioned that I was in the process of making my own frame, but would like to find someone to show me how to braze. And thus it was that he mentioned Will, from whom he'd bought a house. Will, he told me, was a metal sculptor, a colleague from school in the Department of Art, and a fellow cyclist. Jake was sure he'd be interested in my project. It happens that I've met Will before at a neighborhood party, but we didn't really converse then (because I am fundamentally shy, and would rather stuff a rabbit up my nose than to make small talk with someone I don't know; yes, I realize that this is a problem). He stuck in my head, though, because he was wearing a kilt, an attire he comes by honestly, since he hails from the British Isles. It is a little hard to see in the photos, but there is a solid shoreline all the way around, and I'm confident that I got enough silver in there to fill up all the void space, making it a strong joint. 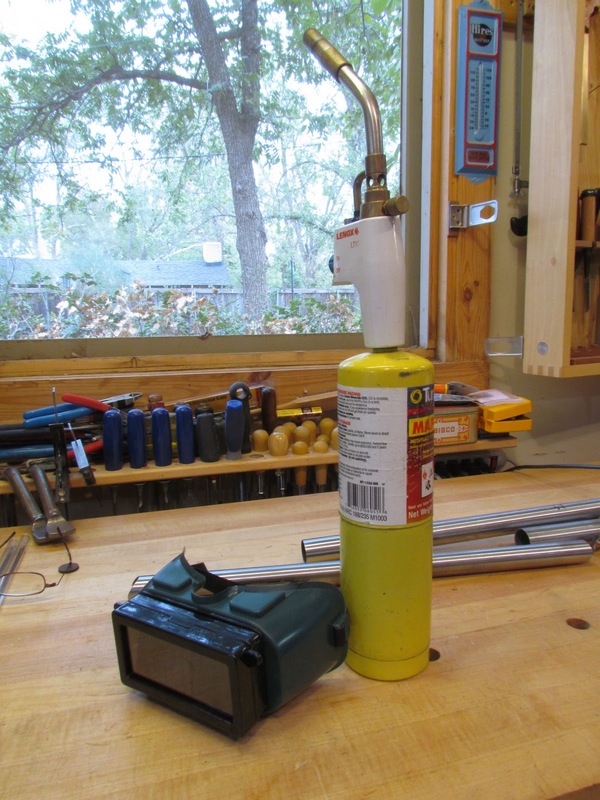 The excess filler can easily be cleaned off with files and a Dremel tool. Speaking of the Dremel tool, I've never really been a fan. In fact, it has seemed for the longest time to be a silly, superfluous tool. I never could figure out what it was good for that a hacksaw couldn't do just as well. But between using it to cut and fit the miters, and now to grind down the excess filler on my blotchy brazing efforts, I have to say that I have fallen in love with this tool. By the way, in case you missed my post yesterday announcing the completion of the Bike Garden Challenge, here it is, with all the skinny you need for sending in your pledges. Thank you again, everyone, for all your support. P.S. Your photoshopping skills are awesome. 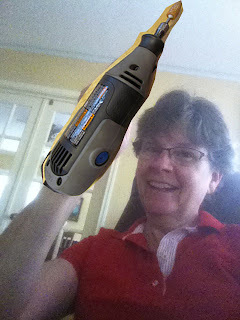 Funny - I use a dremel at work (I am an RN). Hi very good post, got a very good information about brazing. Thank you for the post.